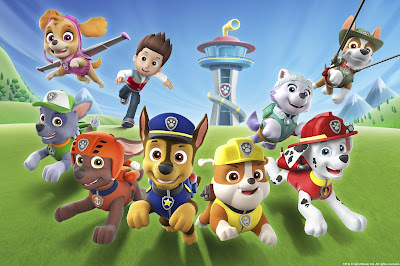 Nickelodeon USA will start to premiere and show brand-new episodes from the sixth season of the network's top-rated CG-animated series PAW Patrol on Monday, February 22, 2019 at 12:00 p.m. (ET/PT)! In season six of PAW Patrol (26 half-hour episodes, produced by Spin Master Entertainment), the heroic pack of pups--Chase, Marshall, Rubble, Skye, Rocky, Zuma and Everest--transform into the greatest team of superheroes the world has ever seen--Super PAW! Joined by new superpowered friend Tracker, no danger in Adventure Bay will be a match for the rescue pups’ incredible speed, high-flying or super-strength abilities. 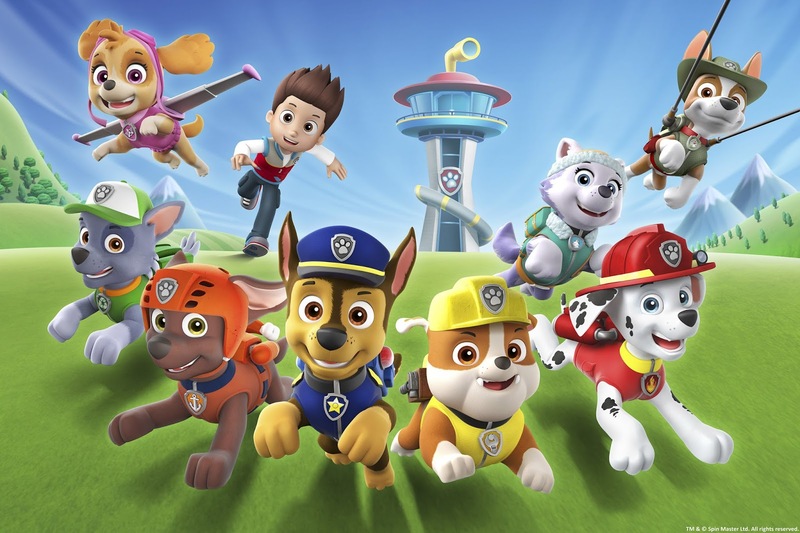 PAW Patrol features a curriculum that focuses on citizenship, social skills and problem solving. In the PAW Patrol season six premiere episode, "Pups Save the Jungle Penguins"; "Pups Save a Freighter" (#601), when an ice floe carrying three penguins lands in the jungle, the pups must get the birds back to their frosty home! Then later, Daring Danny is locked out of the lighthouse Turbot left him to look after, with a freighter headed his way! Originally published: Saturday, February 2, 2019. Sources: Zap2it TV Listings, TheFutonCritic.com, Nickandmore! (II); H/T: Anime Superhero Forum /@Elijah Abrams, @Kanc; H/T: Huge thanks to TV Shows Fan for spotting the typo! Follow NickALive! on Twitter, Tumblr, Reddit, Google+, via RSS, on Instagram, and/or Facebook for the latest Nickelodeon Preschool, Nick Jr. and PAW Patrol News and Highlights!